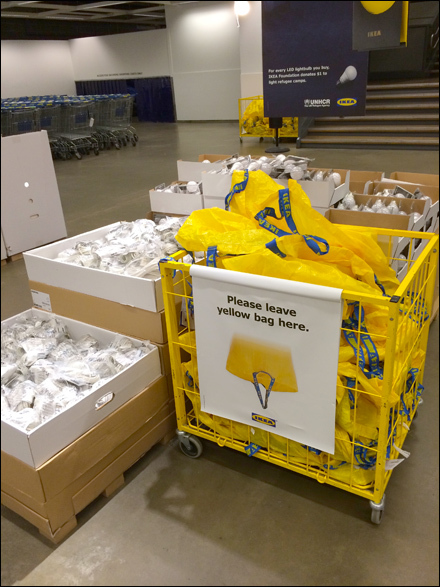 “Please leave yellow bag here.” admonishes the sign as you exit IKEA®. The yellow bin and visibility granted by open wire construction visually reinforce the issue. Clever is that the bulk bin is caster equipped. All IKEA need do is wheel it to the front of the store to start a new retail cycle. 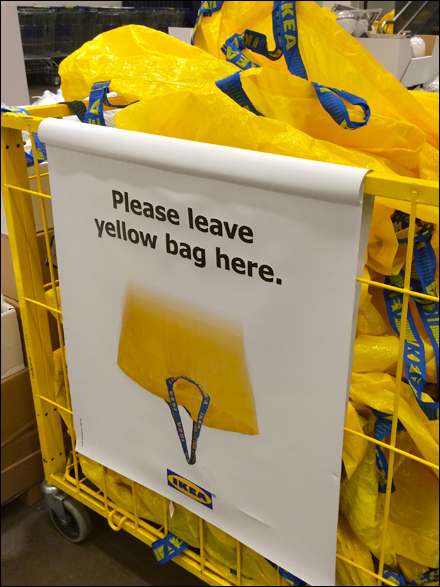 Oh yes, remember to reverse the sign so it reads “Borrow a Big Yellow.” CLICK the thumbnail for broader view.